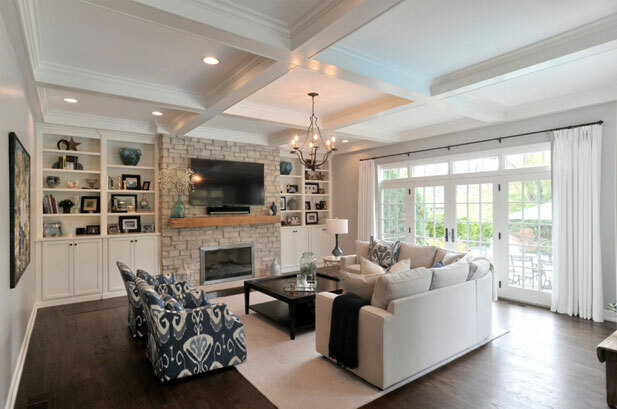 As an ongoing project, Staging North Shore has helped redesign and update many spaces throughout this luxurious Glenview home. 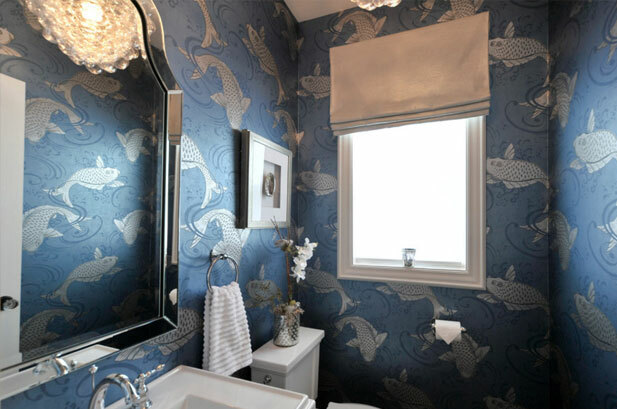 For the powder room we chose a standout style with an overscaled koi fish patterned wallpaper to create an opulent yet relaxing environment. 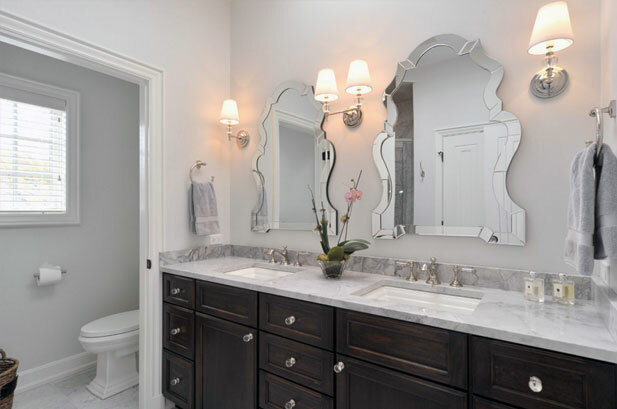 In the living room we selected large scale pieces with rich neutral fabrics, nailhead trim and mirrored pieces to bring an understated sense of glamour. Accenting with deep teal drapery, artwork and ikat cushions, this space is connected to the family room which has a consistent feel in a less formal style.